Entering his eleventh season as the Baltimore Ravens Head Coach, John Harbaugh is no stranger to success. His Ravens won at least one playoff game in each of Harbaugh’s first five seasons as coach, including a Super Bowl victory over his brother in the “Harbaugh Bowl,” which concluded the 2012 NFL season. Despite finishing 9-7 in 2017, the Ravens are amidst a three-year playoff drought. Owner Steve Bisciotti is remaining loyal to his man, however, and allowing Harbaugh to continue to lead this aging team. At 33-years-old, quarterback Joe Flacco may be past his prime and could very well be following Harbaugh out the door if the team does not perform. The Baltimore Ravens betting odds indicate they will be around .500 this year, making a return to the playoffs unlikely in an AFC North division that has improved from last season. Joe Flacco, even in his Super Bowl winning year, has always been accurately billed as good but not great. Never maintaining a passer rating above one hundred for a full season, Flacco throws too many interceptions and does not have the yards or touchdowns to make up for it. 2016 marked Flacco’s first 4,000 passing yard season, but he regressed all the way back to 3,100 in 2017. The Ravens used their #32 overall pick in this year’s draft to select Louisville quarterback Lamar Jackson. A dynamic, dual-threat athlete, team management undoubtedly would love to mold Jackson into their quarterback of the future but are not ready to bail on Joe Flacco quite yet. 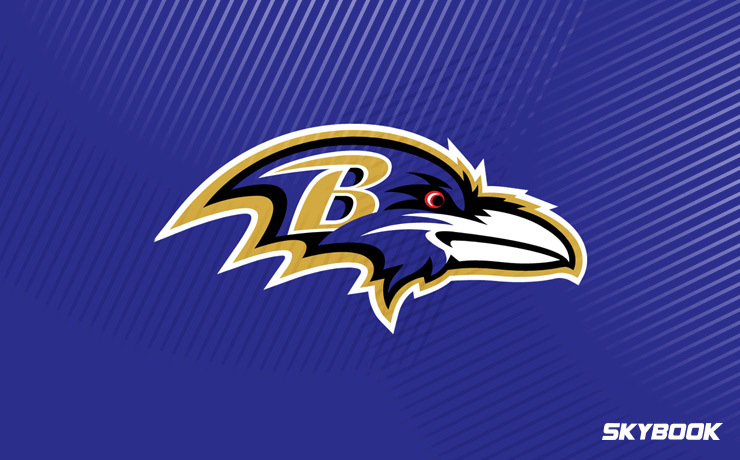 Announcing that Flacco will be his starting quarterback, Harbaugh is smart enough to realize that he would be very unlikely to keep his job throughout an entire rebuilding season with a rookie quarterback. Thus, Harbaugh is living or dying with Flacco, and the Ravens will go as far as the former Delaware standout will take them. The Ravens’ defense can be credited for their winning record in 2017. Ranking 10th in passing yards allowed and 15th in rushing yards allowed, the Ravens were carried by a dynamic mixture of experience and young talent. At linebacker, the 35-year-old, seven-time Pro Bowler Terrell Suggs continued to terrorize opponents with 49 tackles and eleven sacks in 2017. His counterpart, the 26-year-old C.J. Mosley added 96 tackles and two picks. If the Ravens can get one more productive year out of Suggs and continued growth from Mosley, they could find themselves in the playoff mix come the season’s end. These are a lot of ifs, however. Projected to be a middle-of-the-pack team, the Baltimore Ravens betting odds to win Super Bowl 53 are listed at 55-1. Here at SkyBook, we pride ourselves on being the best NFL sportsbook for all your football betting needs. We are your source for Ravens game analysis, matchups, and injury reports. Remember that we offer the best Baltimore Ravens betting odds along with great bonuses that you will not find at any other sportsbook.